Welcome to the Albuquerque North/Bernalillo KOA. On the road to Santa Fe, just north of Albuquerque, exit 240 North/South or 550 East, is located a flower filled oasis where our helpful staff will make your stay great! The campground features a shaded pool (a rarity in the desert) just steps from your Kamping Kabin, tent site or RV pull thru. It’s a terrific gathering spot for groups and families with an outdoor covered pavilion, NEW WiFi system, playground, volleyball, horseshoes, 2 dog parks, a book exchange, and video rental along with a great gift shop boasting Native American crafts, snacks, drinks, RV supplies and everyday essentials. 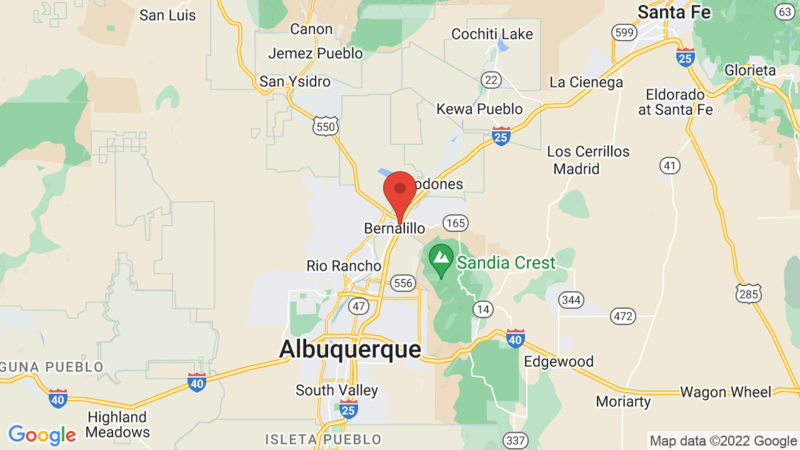 Catch the new Rail Runner Express in Bernalillo only half a mile away (within walking distance) for train excursions to explore downtown Albuquerque, Santa Fe and Belen. The campground also offers easy access to the attractions of New Mexico’s two largest cities, as well as to ancient Indian ruins (in Bernalillo), ghost towns, pueblos and all the beauty of the Southwest. Just head West on 550 to highway 4 to the Jemez village where you can swim in the soda damn, soak in the natural hot spring pots and enjoy some of the most beautiful scenery New Mexico has to offer. We are the closest KOA to the World Famous International Hot Air Balloon Fiesta just 9 miles away. Every October the skies are filled with every color, size and shape of balloons. An amazing spectacle you’ll want to see. Visted Albuquerque North / Bernalillo KOA Campground lately? We'd love to hear about your adventure. Did you find us useful? Did we forget something? Anything our community should know before heading out to Albuquerque North / Bernalillo KOA?